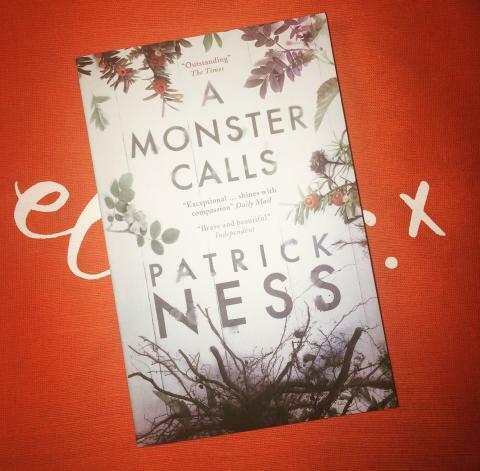 'A Monster Calls' is a modern fairytale which follows 13 year old Conor O’Malley as he struggles to cope with his mother’s terminal cancer diagnosis as well as school bullies, his estranged father and his overbearing grandmother. Throughout the story, after waking from the same terrible nightmare, Conor is repeatedly visited by an arborescent monster in the middle of the night. The monster wants to tell him stories. The monster also wants something from Conor – to reveal the truth. Author Siobhan Dowd conceived the novel during her own terminal illness and sadly died before she could write it - so her editor arranged for acclaimed children’s author, Patrick Ness, to write the novel. Despite being written for a slightly younger audience, this book can be read by any age group as it carefully tackles the raw emotions surrounding the illness and death of a loved one - from grief and loneliness to anger and frustration. Each story that the monster tells has an underlying message. Conor struggles throughout the book to understand the meaning of the stories - which often end in an unjust way. However, the monster tells him that: “There is not always a good guy. Nor is there always a bad one. Most people are somewhere in between”. The book beautifully illustrates how nothing is ever black and white, and stories don’t always have happy endings. This book is a heart-wrenching masterpiece that is raw, emotional and cathartic – anyone who has ever lost or is losing a loved one should read this. It is not a happy book, but it is an important one.